The brain behind Sounds Of Africa photographic exhibition – Michael Tubes aims to capture and archive the greatest moments in African music and to celebrate the achievements of artists that are originated from Africa and those that have brought African music to the global stage. 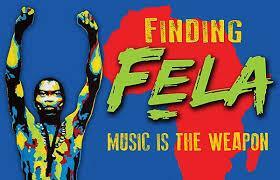 Without any doubt Femi Kuti is one of Africa’s Musical Legends and his first son Omorinmade was also performing with his father on his European Tour. According to Barbican, Femi Kuti’s take on Afrobeat is one of the most explosive sounds to have emerged from Nigeria over the years. Femi’s powerful saxophone style and his mighty stage presence combined with the funky grooves and driving horn of ‘The Positive Force’ radiate pure and raw energy! Credit images – Michael Tubes Creations.